My name is Elliot and last week I had the amazing opportunity to share the work of SCUK at the Aberystwyth Conference. 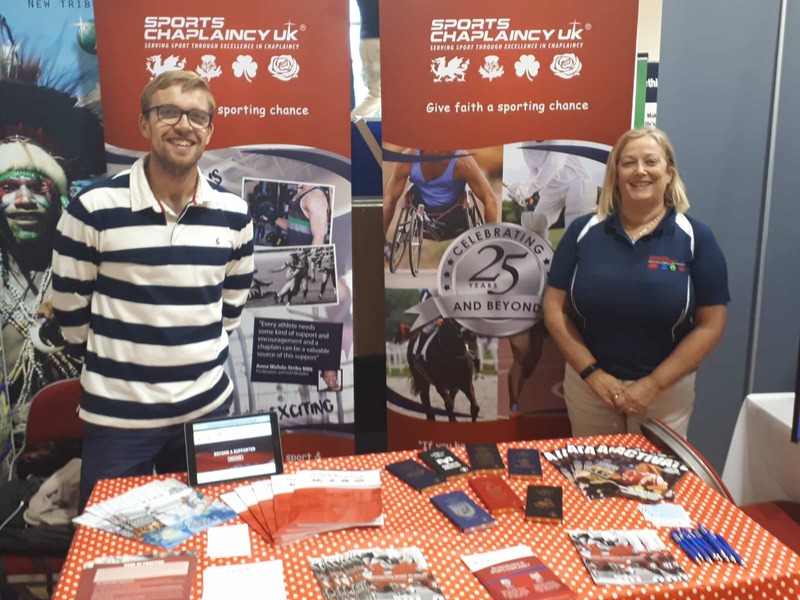 The Aberystwyth Conference, which is the Evangelical Movement of Wales conference, was a great chance to share who we are as a charity and what we do. During this time, where I was based at the Exhibition stands with various other missional organisations and Christian resources, I had the amazing opportunity to talk with various people from Wales and beyond. It was exciting to see how many people saw the value of what we do, and would love to continue to support us, whether in prayer, volunteering or giving. Please continue to pray for those who took our magazines, information booklets and those who have seen our advert in the programme. With many other stands handing out various things, please pray that as they read and reflect on what that have taken from the stands, that when they are prompted to find out more that they would. Here is Heather and I on the stand on one of the days.